An expert explains how the city is working to develop and implement its FinTech strategies. According to a recent report, the FinTech sector in Hong Kong is likely to make some radical changes to the world’s financial industry. This can be attributed to a team of devoted government officials. The Head of FinTech at InvestHK explained, in an interview, how the region is working to attract top enterprises, start-up entrepreneurs, investors and other stakeholders to aid Hong Kong in its efforts to be at the forefront of this rapidly emerging sector. The Head noted that with regards to promoting financial technology, there is no shortage of initiatives taking place in Hong Kong; there are now some 550 FinTech companies based in Hong Kong – a steady increase from about 140 in 2016. Of these, 52 per cent are from abroad while the remainder is local. As new technologies lead the world into a new era, the Head noted emphasised that despite the negative narrative about their impact on jobs, FinTech, Blockchain and Artificial Intelligence (AI) will create a wealth of new careers with diverse opportunities. The Head stated that people should consider working with technology rather than being afraid of it, adding that new jobs in the sector will come from a range of professions and responsibilities for highly skilled individuals. He added that careers in the FinTech industry are only reserved for students from a financial background. The Head also noted that with the introduction of the Octopus card to Hong Kong in 1997, which has become a ubiquitous part of the city’s daily life, Hong Kong has been a FinTech pioneer long before the word FinTech was invented. In addition, the fact that the HKSAR government signed off on an HK$500 million fund launched to develop financial services and other revolutionary technologies over the next half-decade is proof that Hong Kong is dedicated to boosting the application and adoption of FinTech in the region. While FinTech is growing rapidly in Asia – and nowhere more so than in mainland China – the Head explained that development on the mainland is mainly focused on consumer-orientated payment systems whereas Hong Kong’s business-to-business (B2B) environment is totally different. The Head noted that payments are only a part of FinTech; Hong Kong is working to develop other complex systems for banking, finance, insurance, FinTech regulation and market-to-market wealth management activities. These are some of the main development areas that are in line Hong Kong’s strategic advantages, which include being a key international financial centre renowned for having one of the world’s freest economies, high-tech infrastructure and extensive strategic business connections with the mainland. Hong Kong sees its role as a channel through which global FinTech companies can enter the mainland market and as a launching pad for businesses from across the border to “go global”. 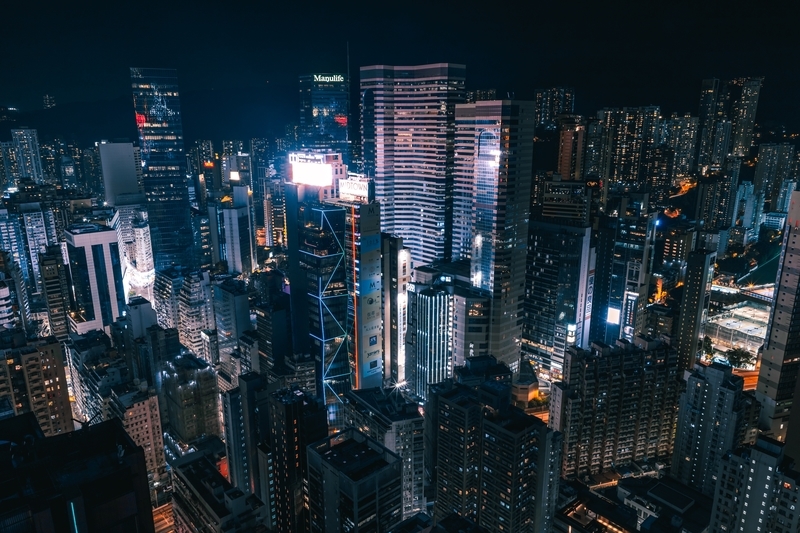 While some believe that Hong Kong’s expensive office rent rates could deter potential foreign FinTech firms and investors, the Head noted that the rates are similar to international B2B markets like New York, London, Singapore and Tokyo. Rival centres also encounter difficulties when acquiring and retaining talent. Banks across the world are speeding up their FinTech development strategies and are finding themselves in competition with start-ups and expanding firms that are looking to attract FinTech professionals from the same talent pool. Recruiting the right talent is a challenge in all the global FinTech markets. HKUST has responded by inaugurating FinTech courses into existing programs, and in September 2019 will launch one-year full-time or two-year part-time Master of Science (MSc) FinTech programs that focus on Blockchain, FinTech, AI and compliance and regulation. To make life easier for employers looking to recruit talent with specific skills, the government has rolled out a Technology Talent Admission Scheme (TechTAS) to accelerate the admission of R&D talent from overseas and Mainland China. The list focuses on 11 professions including FinTech, cyber-security and innovation and technology. With part of InvestHK’s portfolio of activities making FinTech more visible to students, the Head noted that educational events organized by universities and academic institutions during Hong Kong’s 2018 FinTech Week at the end of October, which included HKUST-supported speaker presentations, are prime examples of collaboration between business and academia.